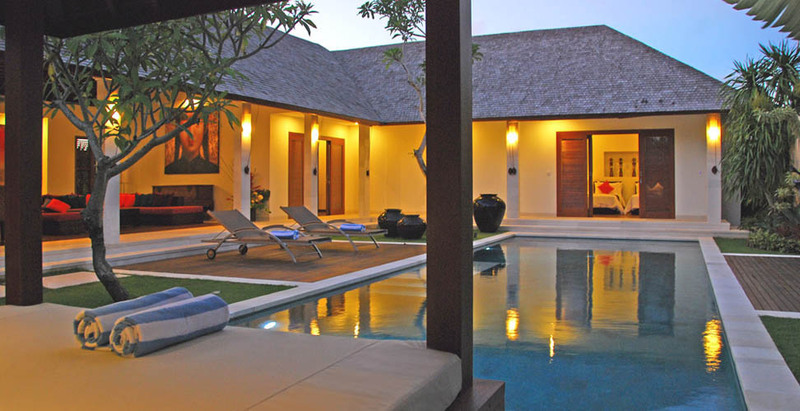 The villa Sadewa is a cocoon of intimacy and luxury. 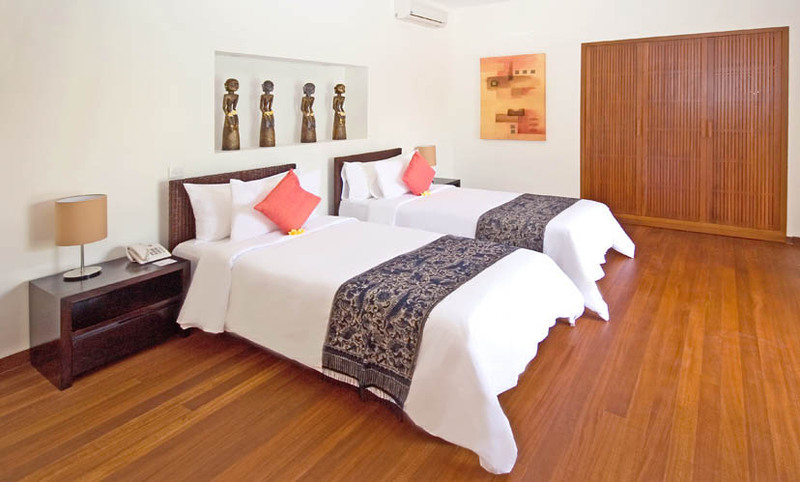 It is perfectly suitable to accommodate a family on the Bali Island. This renting embraces a classic and simple style. 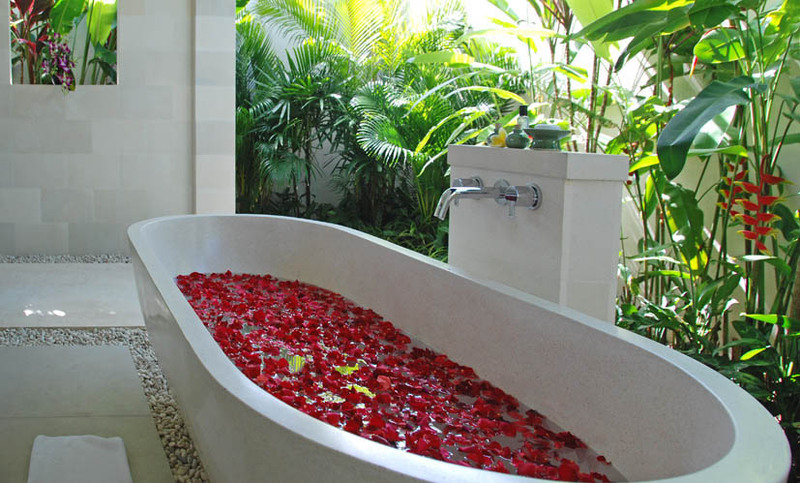 Besides, some elements remind the Balinese way of life. 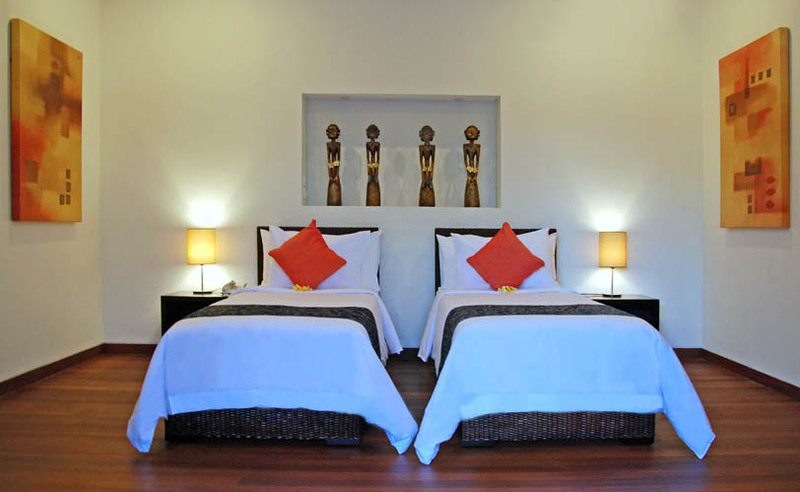 Being part of the Saba complex, this property enjoys some extra services. 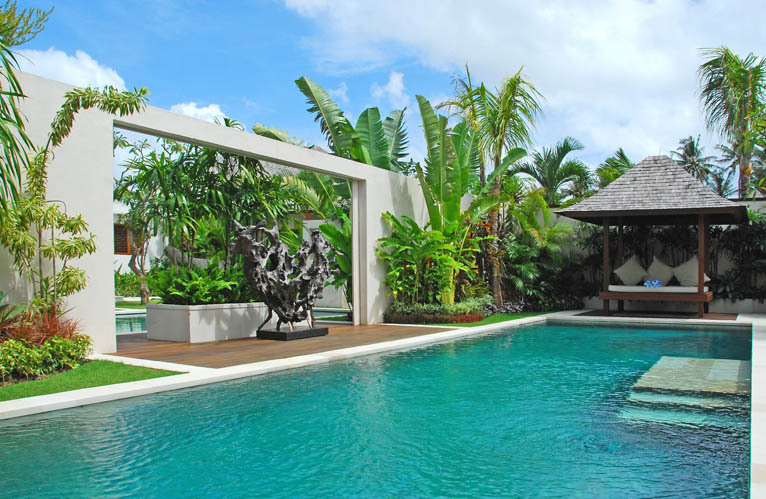 Thus, this house will be the ideal place to rest and benefit from the islandâ��s pleasures. 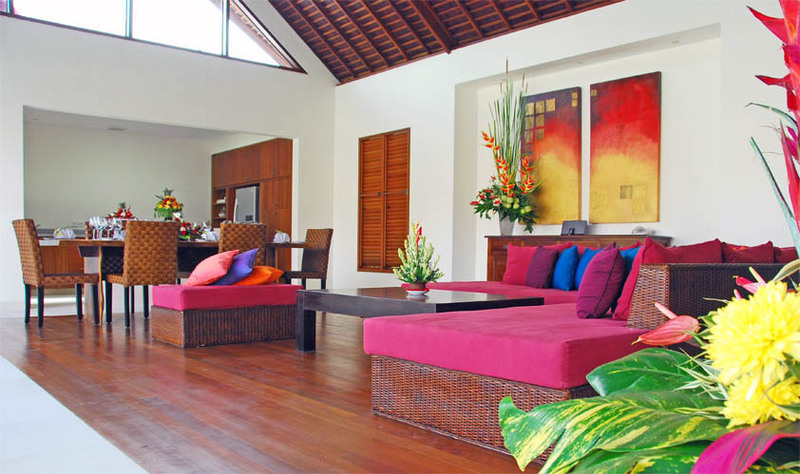 Providing 2 bedrooms, this villa for rent in Bali could accommodate up to 4 persons. All those bedrooms has their own adjoining bathrooms. The living-dining room forms the main area. Spacious, it overlooks the garden. This last one offers also a lot of comfort conveniences. Indeed, 2 sundecks and a gazebo are there. 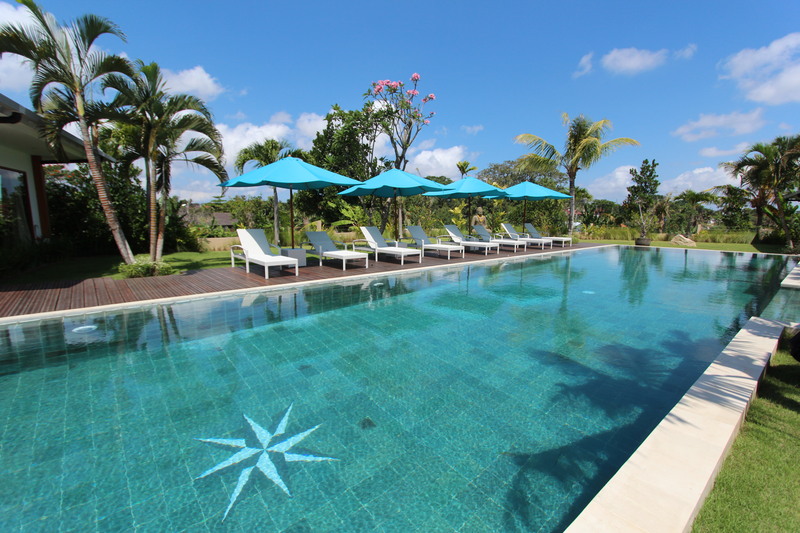 Some sun chairs are also available in order to take advantage of the local climate as well as a 13 meters long pool. 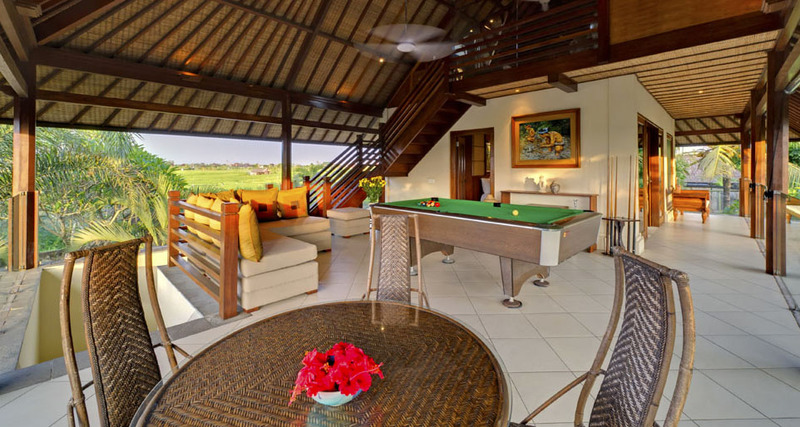 This villa in Bali makes you benefit from extra services thanks to its belonging with the Saba complex. A complete house staff will be at your service. This team includes security guards providing a 24/7 attendance. Likewise, 2 daily shuttles are available. 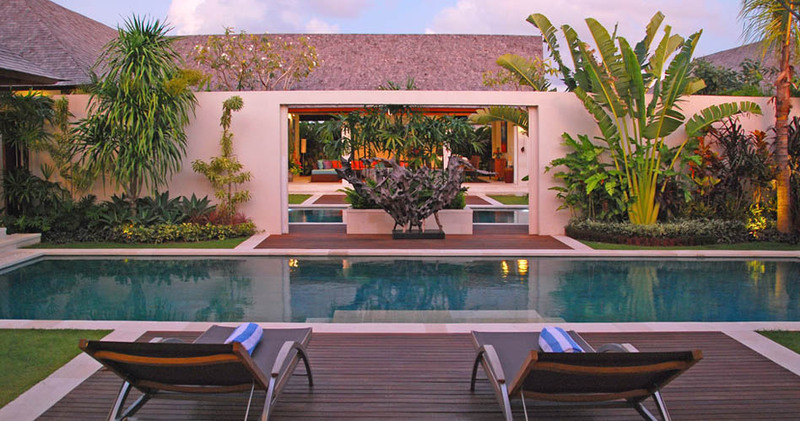 They connect Seminyak and the canggu club (first Balinese country club). Furthermore, this complex has its own masseuses and babysitters. 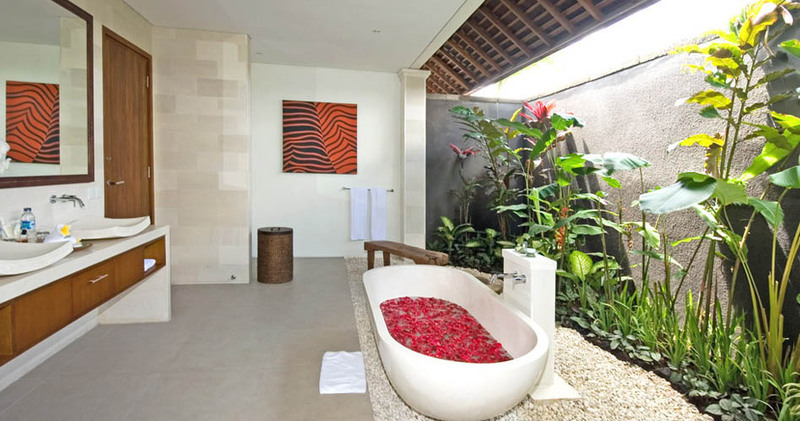 And also Bali Je t'aime, a Bali villa rentals can organize activities, tours or even transport so that you are away from any constraint to make your holiday memorable and wonderful. 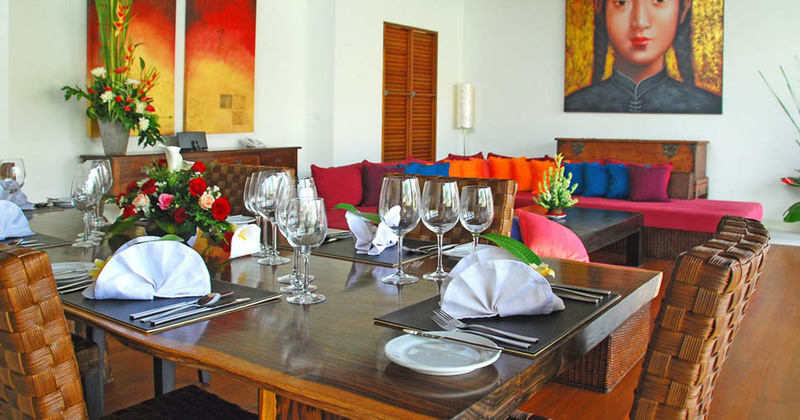 With us, to rent villas will be very easy and fun. 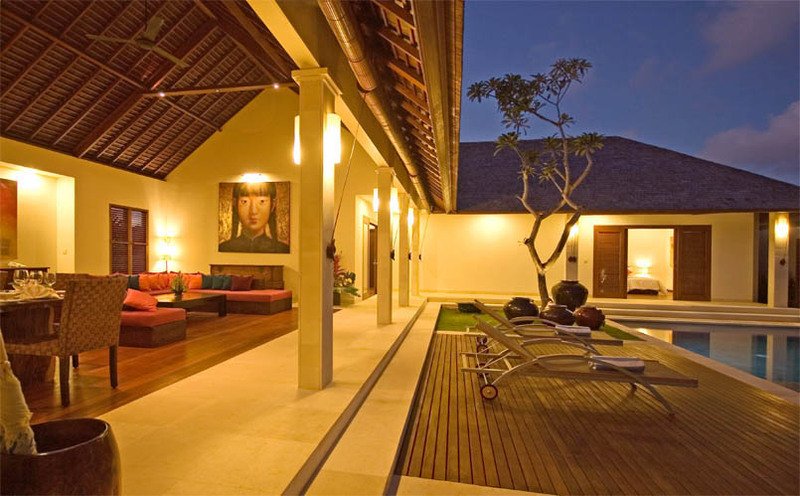 This villa in Bali is well placed in the Canggu district. Calm and rural, it is known for its rice fields as well as for its stunning beaches. So, this district is the perfect area to discover the island of Gods. 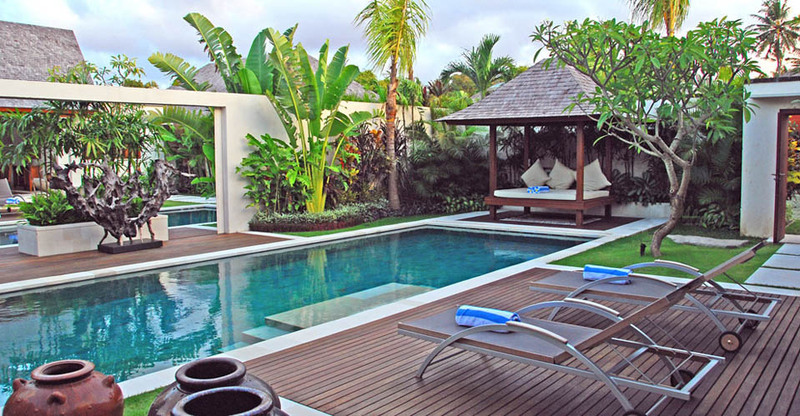 Moreover, the more touristic districts of Seminyak and Kuta are easy to reach by car. Those ones offer a lot of activities, bars, restaurants and shops. 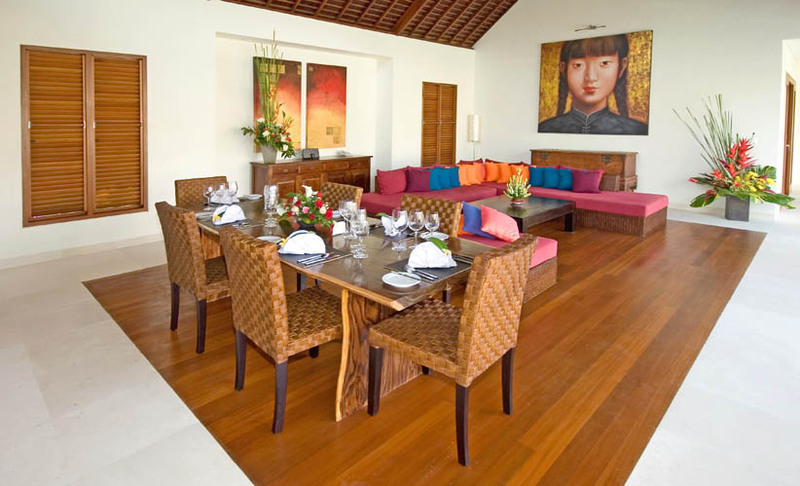 Thereby, the villa Sadewa is the ideal place to spend unforgettable holidays with family. It has numerous undeniable advantages and will fulfil all your desires. 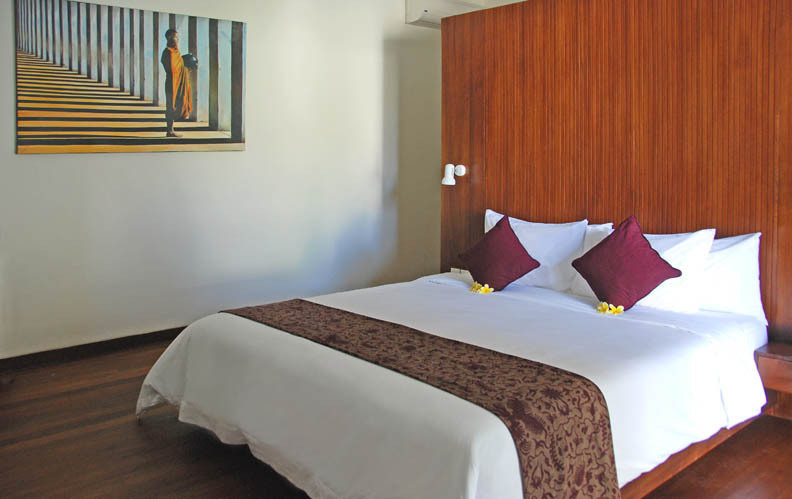 All is provided for your comfort, thus you can focus your stay only on your hobbies. 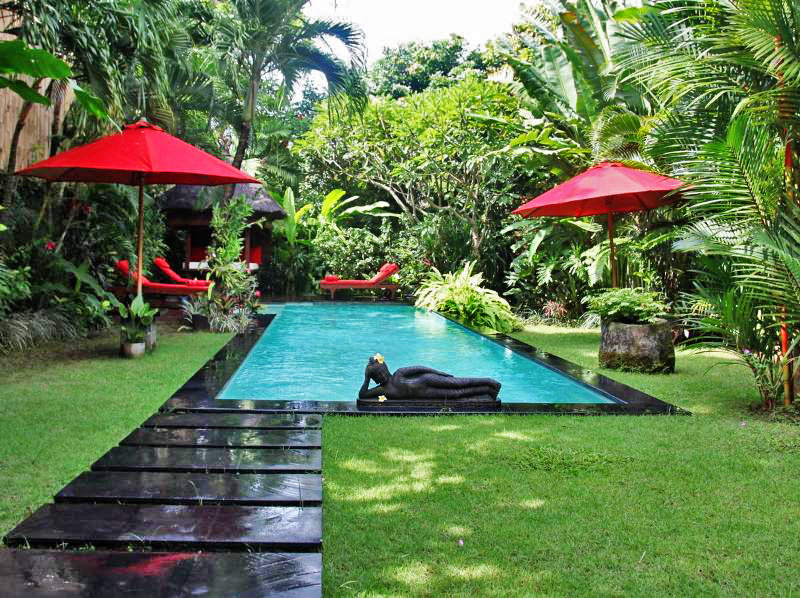 Besides, Bali is full of discoveries and this dwelling will be perfect to discover them.